Createspace Independent Publishing Platform, 9781973742760, 118pp. B.A. Landtroop lives with her husband, William, in a lovely cottage. Behind the cottage an old creek bed, sprouting daffodils in the spring, is surrounded by gardens. Rabbits hide in the children's Lilly garden. The herb, vegetable and wildflower gardens are filled with Blue birds, Hummingbird Moths, squirrels, butterflies and sometimes a fox. This friendly haven inspires her art. Belinda is a fine artist, graphic artist, writer of short stories, children's stories and a poet. She has won awards for her fine art in watercolor, acrylic, pen & ink and mixed media. 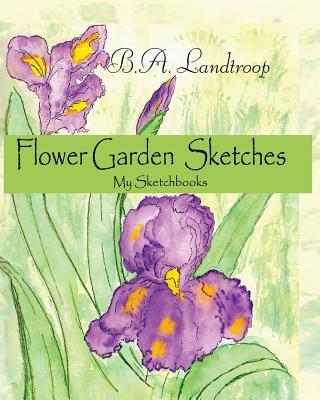 Her art can be found on cards, books, tote bags, clothing and other products. Artist Statement: "Life creates how we see the world around us. How I respond is found in my art. Each piece of art is an experience expressed with color, medium and the texture of emotions acquired in living."